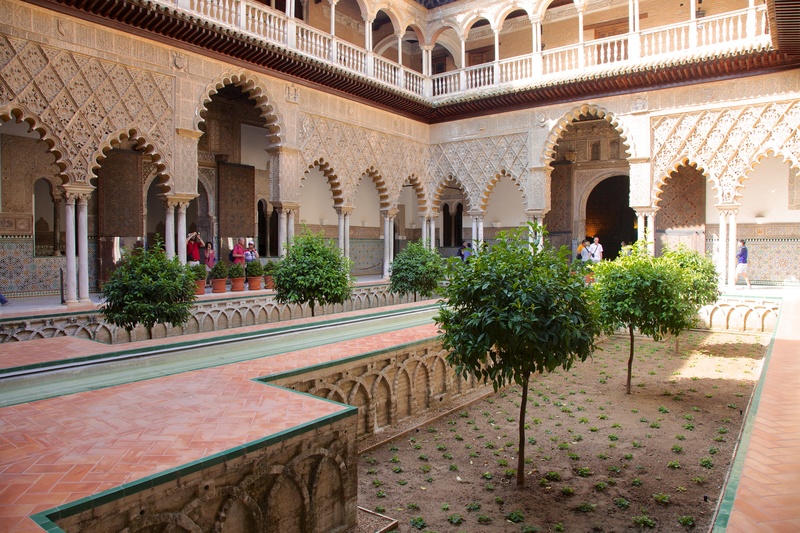 Without doubt, the highlight of any journey to Seville must be a visit to Royal Alcazar, the home of Muslim and Christian leaders for more than a thousand years. It would require a book (there are many) to properly cover the whole complex and its’ gardens so I will just include a few pictures which give some sense of the place. These two pictures are of the Maiden’s Palace which dates from the C14th. 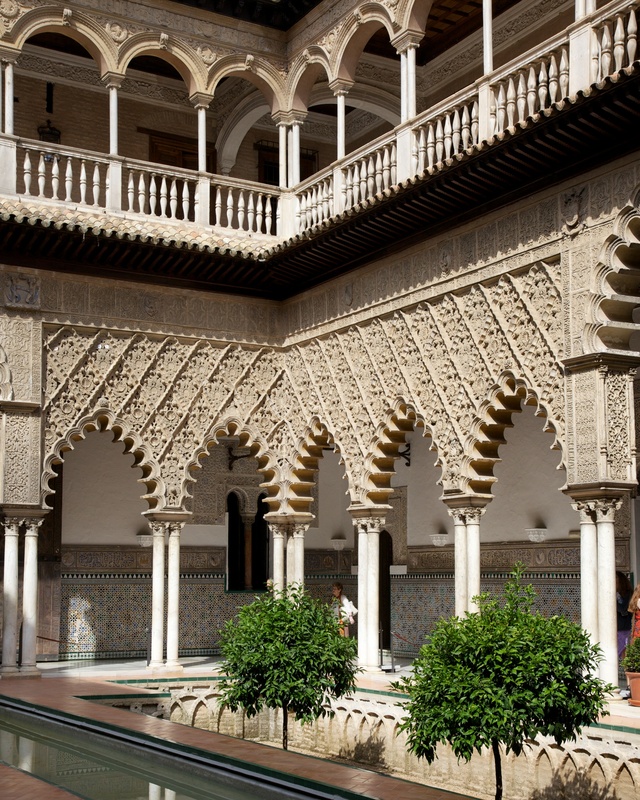 It is the Mudejar style, the borrowing of Moorish styles of architecture by the Christian conquerors of Andalucia. Posted in Architecture, Photography, Spain and tagged architecture, photography, photos, Real Alcazar, Royal alcazar, Sevilla, Seville, Spain, travel. Bookmark the permalink.